Another project rolling in to the shop. That’s a BMC 1500 good for a whole 51hp, when running. This one isn’t, and it’s probably not worth getting it going for 51hp. Transmission is a 3 speed manual with a column change. A possibility would be to swap an MX5/Miata engine and box in, which would give a healthy power bump, and a more modern and reliable power plant. A complete car is cheap and of course there’s lots of parts support. It would need to be an auto due to the shifter location. This is going to be a working vehicle so anything too silly isn’t going to happen. Structurally it’s very solid considering how old it is, this is the worst section, underneath is all really nice. The simple construction means that repairs and the alterations to the bodywork that we need to do are easy. Part of this involves dropping the floor on the inside so normal height people can easily stand up. There’s plenty of room above the driveline to drop the middle part around 6-8 inches at least. The Tesla approach to panel finish, but nearly 60 years ahead of time! It’s a full restoration job and it needs to look mint at the end of it. 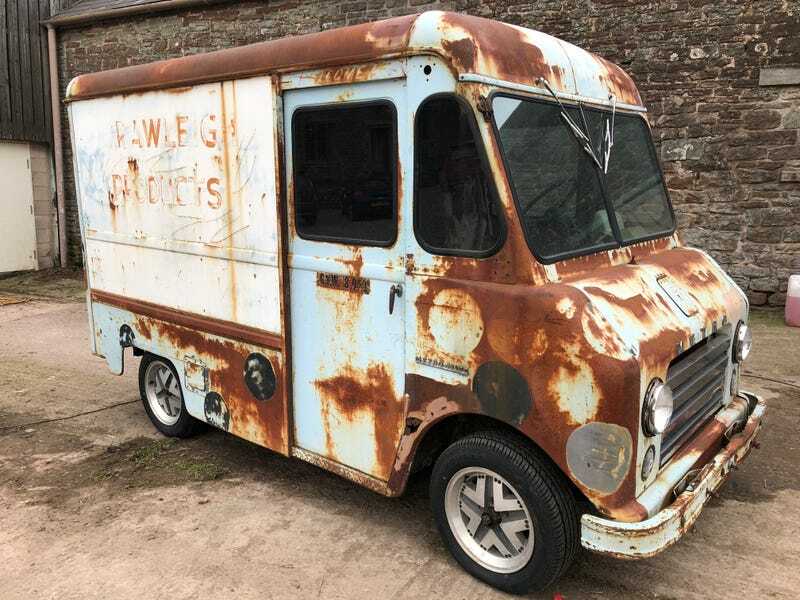 That does mean the Patina is going on favour of a proper paint job.